Britain’s bus services will be plunged into crisis if funding is reduced in George Osborne’s autumn spending review. The cuts would have a severe impact on the economy and society, a coalition of three leading transport groups warns today. Reductions in bus funding would result in fare rises of up to three per cent and a decline in service levels of up to seven per cent, warn Greener Journeys, the Campaign for Better Transport and pteg in a briefing submitted to the Treasury today ahead of the spending review in November. High Streets would suffer due to reduced passenger access to town and city centres, with people finding it harder to get to work and places of education, they report. This would also put greater pressure on congested road networks, leading to increased pollution and carbon emissions. There would also be a significant social impact around the country, according to research by Greener Journeys and Mindlab, which reveals the vital role buses play in fostering community ties and keeping families together. Mr Osborne aims to cut £20 billion from departmental budgets in his spending review on November 25, and has already pledged to “maximise efficiencies” in “all areas of public spending”. Bus funding has frequently been a victim of recent budget cuts, with overall funding for networks outside London already having fallen by about £500 million since 2010/11. 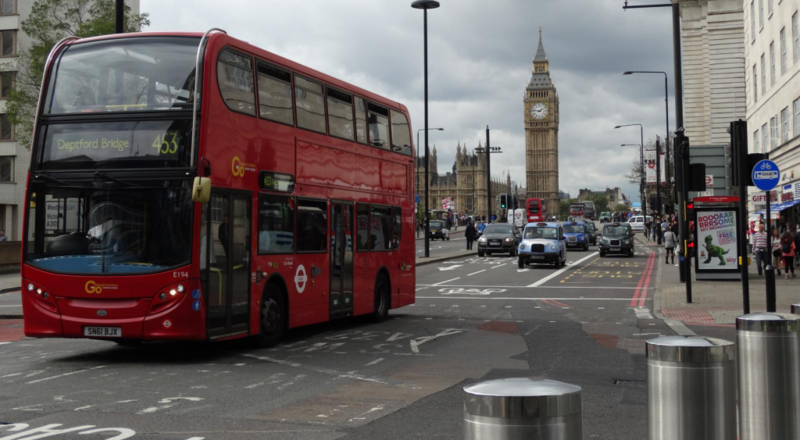 The Chancellor’s announcement has prompted fears over the future of the Bus Service Operators Grant, the principal source of funding for commercial bus networks which subsidises travel for passengers across Britain. It was cut by 20 per cent in 2012/13 and is currently under review by DfT. The coalition of transport campaigners warns in its briefing, A Fair Deal for Bus Users, that the current BSOG funding system must be maintained – at least in the short term – to prevent adverse effects on the economy and on communities across the country. Any adverse changes to BSOG in the spending review would compound recent reductions in local authority support for buses, which has fallen by 15 per cent (£44 million) since 2010 and resulted in more than 2,000 routes being cut, altered or withdrawn. Many of the cuts have fallen on “socially necessary” services, which often support rural communities with no alternative public transport. The Greener Journeys survey highlights the importance of buses to family and community life, with half of bus users reporting that they would attend fewer events without the bus. Two in five (41 per cent) said they would spend less time with family and almost half (47 per cent) would spend less time with friends, rising to 55 per cent among under-25s. Eight out of ten bus users said they know someone who completely depends on the bus, while more than half of students said they could not travel to their education or training without the bus because they do not have access to a car. More than half identified the bus as crucial to family life, with a quarter of regular bus users taking the bus to go on family trips. Almost half of bus users said they would go to fewer restaurants and cafes without their local bus service, and over a third said they would make fewer visits to the pub. Meanwhile a whopping 79 per cent reported using the bus to access local shops. “Two thirds of all annual transport journeys are made by bus. However, buses routinely endure brunt of transport funding cuts, which is having a detrimental impact on routes across the country. Passengers bear the brunt of these cuts, particularly those whose work and social lives depend on their local bus service and in rural areas where people depend on it the most. “Already vital bus services are being lost at an alarming rate. Previous cuts to budgets have left many communities with little or no public transport at all, especially at evenings and weekends. “Although the bus is the main form of public transport, and the quickest way to get transport links into new growth opportunities in our cities, the bus has also taken a big hit from spending reductions so far. “The Chancellor has said that a theme of the Autumn Statement will be to facilitate the integration of public spending. The bus is a good example of this by contributing to achieving a wide range of economic, social and environmental goals – from giving the workless access to work; cutting the cost of the NHS by getting people to healthcare; cutting congestion and giving young people access to opportunity. Greener Journeys, the Campaign for Better Transport and the Passenger Transport Executive Group have published a joint briefing on bus revenue funding, A Fair Deal For Bus Users. Greener Journey commissioned MindLab to undertake research to help understand the different types of bus users and their character traits. 1,000 UK adults who regularly take the bus were surveyed (from 22-25 May 2015). The respondents were also asked to outline why they choose to take the bus and the associated benefits of bus travel. Mindlab International is an independent research consultancy based in Brighton. Using neuroscience and psychology they offer the most effective research available by finding out how people feel as well as what they think. Greener Journeys is a campaign dedicated to encouraging people to make more sustainable travel choices. It aims to reduce CO2 emissions from transport by encouraging people to switch some of their car journeys to bus or coach instead. Switching from car to bus for just one journey a month would mean one billion fewer car journeys on our roads and would save 2 million tonnes of CO2 every year. It is a coalition of Britain’s leading bus companies and other supporters including Transport for London, Transport Focus, Campaign for Better Transport, the RAC Foundation, Confederation for Passenger Transport (CPT), and the Passenger Transport Executive Group (pteg). Its primary funders are bus companies Arriva, FirstGroup, Go-Ahead, and Stagecoach.